Richard E. Grant, McCarthy’s co-star in the film, will present the award. McCarthy joins Glenn Close and Rami Malek as the other honorees of this year’s festival. Previous recipients of the Spotlight Award include Amy Adams, Jessica Chastain, Bryan Cranston, Andrew Garfield, Helen Hunt, Allison Janney, Rooney Mara, Julia Roberts and J.K. Simmons. 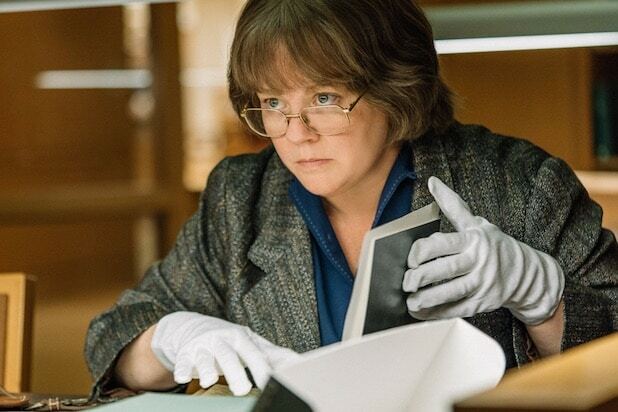 McCarthy is a contender for Best Actress for her work as real-life author Lee Israel in “Can You Ever Forgive Me?,” and all of the previous recipients of the Spotlight Award have gone on to receive Academy Award nominations in the year they were honored, with Simmons winning an Oscar for Best Supporting Actor and Janney receiving an Oscar for Best Supporting Actress in their respective years. In the film, McCarthy stars as Lee Israel, a celebrity biographer who turns to forging letters from literary legends after falling on hard financial times. Dolly Wells, Jane Curtin, Ben Falcone, Anna Deavere Smith and Stephen Spinella co-star in Marielle Heller’s film. The Palm Springs International Film Festival is in its 30th year. The Film Awards Gala, hosted by Mary Hart and Entertainment Tonight and presented by American Express, will be held on Thursday, Jan. 3 at the Palm Springs Convention Center. The festival runs Jan. 3-14.